The key to today's readings is the word “Covenant”. A Covenant is a solemn and bind­ing agreement between two parties, which es­tablishes the way in which each party will behave towards the other. It establishes rights and duties, and forges a new relationship be­tween two people or groups of people. In the Ancient World, a Covenant was always sealed with a sacrifice and a meal: the sacrifice brought divine blessing on the covenant, and the meal sealed the relationship between the participants. In the Covenant that God forged with his people in the Old Testament, it was expressed very simply: God said, “You will be my people, and I will be your God.” God would remain faithful to the people, and they were to remain faithful to God (this is where the command­ments come in). This Covenant was sealed in its greatest form on Mount Sinai, as we hear in the first reading. When the Old Covenant had been broken beyond repair, God sent his only Son to estab­lish a New Covenant: the sacrifice and meal of this New Covenant is Calvary and the Last Supper, where Christ is both priest and victim and altar. 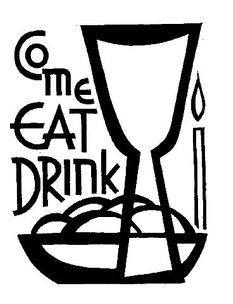 When we eat and drink this sacred meal at every Mass we are renewed in the New Covenant and the relationship with God, be­cause Calvary and the Upper Room are present once more and the New Covenant is sealed for us anew. This is one of the central passages of Scripture in the Old Testament. The “blood of the Covenant” which is sprin­kled by Moses over the altar and the peo­ple is what seals the relationship between God and the people. Blood is a symbol of life, and the Covenant itself is a promise of life and prosperity. As a reader you must approach this reading carefully. Much of it will be strange and unfamiliar to the congrega­tion, and there are many words and phrases which may well not be understood (“ordinances”, “holocausts”. “immolate”). Read everything as carefully as you can, telling the story of what Moses and the people said and did. 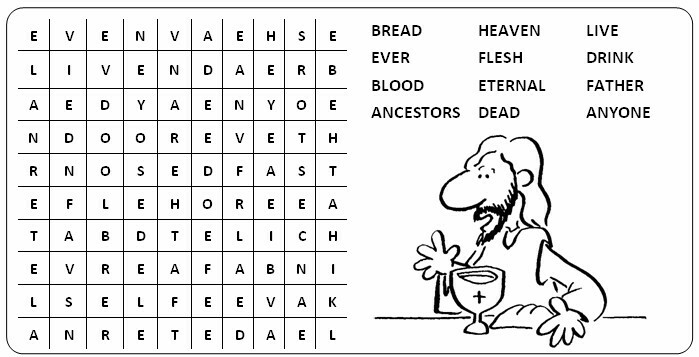 The key to understanding comes at the end, when reference is made to the “blood of the Covenant.” This should make both reader and listener think of the words of the Mass: “This is the cup of my blood, the blood of the new and everlasting Covenant.” This reference will help to link this reading in with the other readings and with the feast. This reading links everything to­gether: the sacrifices and priesthood of the Old Covenant (the blood of bulls and goats) and the role of Christ as Priest and Victim of the New Covenant. 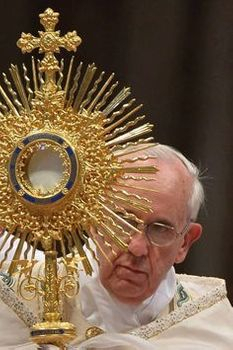 In reading this, al­ways remember that it is a present reality: at this very Mass, we will once again have the blood of our great High Priest on our altar, as the “perfect sacrifice” which gains our “eternal inheritance”. Spend some time with this reading to understand what the author is getting at ‑ your understand­ing will help others to understand. "This is my Body. This is my Blood."